Our Dry Aged Bacon is unlike anything else you’ve tasted. 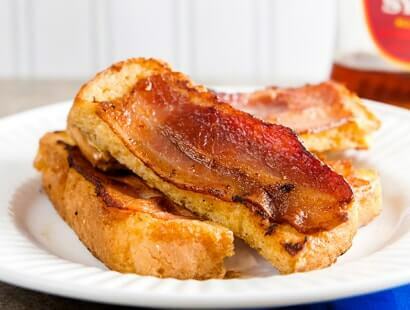 Jones Dry Aged Bacon is known for its signature flavor. Our custom dry aging process can take several weeks, which is why no one else does it. Once you’ve tasted the final product, however, we know you’ll agree that it’s worth the wait. 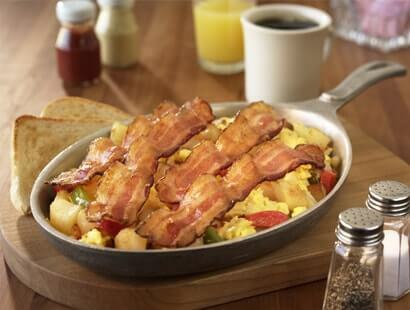 And like the other foodservice products we make, each slice and slab of our bacon is Certified Gluten-Free. 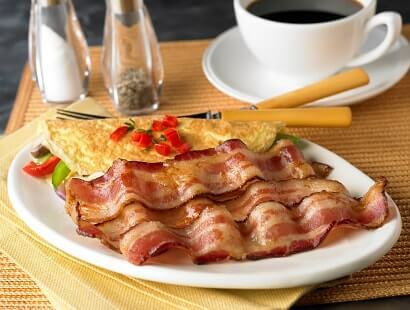 Browse our wholesale bacon products below, including cherrywood smoked bacon, hickory smoked bacon, turkey bacon and our all-new Jones Bacon Bones. Made with fresh pork bellies and dry aged; slightly sweeter than our hickory variety. Dry aged, fresh pork bellies are smoked with hickory for a classic flavor. Available in hickory or cherrywood smoked and ready to eat.